The Prati district is situated in west central Rome. It boasts some of the city's major chic shopping streets. This district is dominated by the verdant Monte Mario hill. 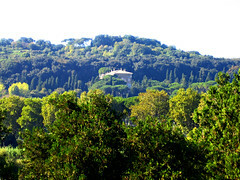 While Monte Mario is the highest hill in Rome it's not one of the famous seven hills because it lies outside the boundaries of the ancient city. The view is great from the Belevedere Zodiaco. Local sights include the Astronomical Observatory and the Museo Astronomico Copernicano. Even if you don't remember the 1960 Olympics stop by the Olympic Stadium which is part of the Foro Italico, the sports center. You might want to visit the Fontana dei Quiriti without the kids. The district also hosts the Sede della RAI radio and TV center. For your convenience we have listed neighborhood hotels in approximate order of cost, starting with the least expensive. We have personally verified all website addresses making sure that they include English-language pages. The Hotel San Pietrino is located on the third floor of a Nineteenth Century palazzo. Its rooms are well equipped for the price but rather unusually breakfast is not included. And there is no bar in the hotel. Both of these shortcomings are easily resolved by taking a short walk in the neighborhood. There are 12 rooms that have 1 to 4 beds. The address is Via Giovanni Bettolo, 43 00195 - Rome. The New Holiday House Roma Bed and Breakfast is located in a beautiful old building. It is a non-smoking property. With a minimum stay of seven nights you get complementary shuttle service to the airport. There are double and triple rooms. The address is Via Ottaviano, 43 - 00192 - Rome. The Hotel Donna Laura Palace has been renovated recently. Its terrace overlooks the Tevere River, which, according to the hotel, is a unique feature. This non-smoking property boasts a fitness center that includes a sauna and a Jacuzzi. There's a restaurant and a rooftop restaurant open during the summer. Other facilities include a meeting room that can handle up to 90 people. There are 64 rooms and suites most of which have balconies. The address is Lungotevere delle Armi, 21 - 00144 - Rome. Levi Reiss authored or co-authored ten computer and Internet books, but would rather drink fine French, German, or other wine, paired with the right foods. He loves teaching computer classes at an Ontario French-language community college. Visit his Italian travel, wine, and food website www.travelitalytravel.com and his wine, diet, health, and nutrition website www.wineinyourdiet.com. Levi Reiss authored or co-authored ten computer and Internet books, but would rather drink fine French, German, or other wine, paired with the right foods. He loves teaching computer classes at an Ontario French-language community college. Visit his Italian travel, wine, and food website www.travelitalytravel.com and his wine, diet, health, and nutrition website www.wineinyourdiet.com. Are you planning to visit a favorite destination for a family vacation? You need to prepare for it ahead of time. The first thing you need to do is to take care in finding the place that you and your family will stay at during this vacation. What can you do to make finding the perfect vacation rentals easy? If you know your destination for your next vacation, then you should go ahead and start planning for your trip. If you allow yourself this kind of time, then you will be able to plan a much better trip. This is especially true when you are looking for the right accommodations. Making sure you get what you want from a cottage or rental vacation home will happen if you have the time to look for the right amenities. You need to consider while looking for vacation rentals those that will be with you during your stay. For small children, make sure you will be provided things like safety gates for stairways and cribs for the tiniest members of your family. Are there pets you do not want to leave at home? You can find many places that are pet friendly. Some even provide special amenities just for your pets. Your choice of accommodations when you are vacation has a lot to do with how much you can relax and enjoy your activities. You might need a grill for cooking out. Will you need to have a television for the kids? How about video games to go with that television? These are some of things you can have included in a rental cottage or vacation home. Many times, you might make arrangements for a vacation rental only to arrive and be greatly disappointed in the property. To avoid this kind of thing happening, make sure you can see plenty of pictures of the property. Make sure to get promises made by owners in writing. If a property owner is to be trusted, then he or she should have no qualms about answering any questions that you might have. They also will not mind sending you any kind of agreements through the mail. These are the kinds of things that you should always make sure to take care of before settling for a rental home. The best vacations will be determined a lot in the place that you choose to stay at. If you are not happy with your vacation rentals, then your whole trip could be ruined. Make sure that you get what you want in the vacation property you choose. Thank you for reading our vacation rentals article. 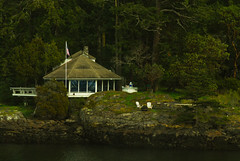 If you would like more information on vacation rentals please visit http://vacationrentals.helpnets.com/ today. Helpnets.com is your free network of online help for a variety of subjects. There are a lot of companies that are really producing a lot of Italian leather bags, specifically leather handbags. These bags were made from Italian leather out of ostrich, crocodile and even calf. One quality that an Italian bag has that people really love about them is the fact that it is scratch resistant. This is in addition to the fact that it is also lightweight and very durable. Another thing that people really enjoy about Italian bags is the fact that they are available in different colors that can cater to a lot of people's taste. Not to mention, the unique style that they have also makes them stand out from all the other bags available in the market. Those people who are really patronizing Italian leather bags will not be disappointed because there are designers responsible for coming up with fresh ideas for every new season. When you go to Italy, you will learn that there are certain companies that hire a small number of people specializing in making bags by hand. This just goes to show that all the details placed in the leather of an Italian bag were sculpted in carefully to make sure that users will not have a hard time using them. Most importantly, these bags are not only considered by a lot of people as something they can be used, but also as a piece of artwork that is worth spending their money on. There are different types of Italian leather bags that people can choose from, and some of these types are soft leather, original leather, fashionable leather, classic leather, and those that have long straps that can be adjusted by the user. An Italian bag made from classic leather can be identified as having clean lines that make it appear more refined than the others. On the other hand, trendy women will enjoy being seen using an Italian bag made from fashionable leather. In the same way, women choose most of the time choose a bad made from original leather because it gives them a feminine elegance that no other type of bag can accomplish. Both the soft leather and bags with adjustable straps aim to give their users the comfort that they need for they provide the users a soft feel and an easier time to carry them around. However, whatever type of Italian bag one decides to buy, he/she will be assured that everything placed inside it will be kept safe. This is because of the fact that all these Italian leather bags are equipped with magnetic closures to provide the users a very safe place for their things while at the same time not giving them a hard time in opening it. Most importantly, these Italian leather bags will be suitable for those people who want to feel safe with their valuables for they provide at least one interior secret compartment sealed by a zipper lock. With all these benefits, it is no wonder that a lot of people feel compelled to buy at least one type of an Italian leather bag. Based along the beautiful blue Mediterranean coast and encircled by 12-islands, Fethiye is a divine small town and one of the most popular tourist destinations. This small town is well-known for its wonderful beaches and is a perfect paradise for those who always admire or love to have relaxing experience close to nature. Perhaps it won't be wrong to consider it as the charming bay at the foot of Mount Mendos that is surrounded by pine forest. Today it is one of the well known holiday destinations that also have an exceptional collection of hotels and apartments, along with some of the most popular shopping venue that can make your holiday a pleasing experience. Fethiye is definitely one of the few locations in the world that is suitable for all. Be it a romantic break or family holidays, this small town has so much to offer for every holidaymaker. With over three kilometres of sandy beach and warm water, this wonderful tourist spot gives a best option to see the stunning natural scenery. Its beach provides best alternative to enjoy different sort of beach activities. In addition to this, if you are looking for different sort of adventure then spending a day dedicated to trip on a Gulet (traditional wooden sailing vessel) could be the most memorable experience. Usually, this trip starts from the harbour every morning and can be the most appropriate option to visit the stunning coastline with its clear waters, tiny islands and hidden coves. For those who like exploring different historic sites, Fethiye could be the best destination that definitely has a rich history. Covered in beauty here you may find numerous rock tombs carved into the faces of the cliffs by the Lycians that lived in this town long back ago. Adding to this, there are many temples and a tower that are full of archaeology and history. Moreover, visiting and exploring the nearby historical sites of Xanthos, Tlos, Pinara and Karmilassos could be other best alternatives. Make sure during your holiday to Fethiye, you have the experience to traditional Turkish massage and hot Turkish bath as well. Moreover, if you love shopping then the market the cobbled streets of the old town could be the most feasible option. Fethiye is also known for some its good restaurants where you may even enjoy the taste of different and popular local cuisines, traditional kebab apart from other international dishes. And, finally the nightlife of this small town has much more to offer. The nightlife of Fethiye is another vital feature that you must explore it once. In fact, you can easily take a trip to the Blue Lagoon at Olu Deniz and spend your evening soaking up the fun and festive atmosphere at any one of the bars of Fethiye. Certainly, with such enormous things to watch and enjoy, cheap Fethiye holidays can be a perfect and unique holiday experience for you. This holiday destination may be small in area, but yet it has got everything that can make your tour an unique experience. So this season if you are planning to have one of the most pleasant and cheap holidays, book your cheap Fethiye holiday deal. Book cheap holidays to Fethiye for a unique holiday experience in this beautiful destination of Turkey. Visit Holidayclick for cheap holiday packages including all inclusive holidays, late minute deals, family holidays and much more. 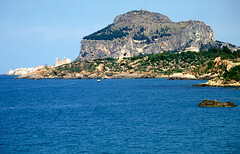 Explore more such exciting holiday packages with great discount offers for cheap Turkey holidays. If you are planning a trip to Paris, you will find an overwhelming number of luxury hotels, inns, hostels and even private apartments available for rental in almost every neighborhood. The most important factor to consider is the location. The perfect location will depend on individual preferences. Visitors will often hear the terms "Left Bank" and "Right Bank" regarding Paris neighborhoods, referring to the southern and northern sides of the Seine River, respectively. Here are some districts (or arrondissements) to consider for your stay. Louvre/Les Halles/Palais Royal (1st arrondissement) - Those who are visiting for the art should find a hotel or apartment in the first district, located on the Right Bank. The Louvre is home to the Mona Lisa, Venus de Milo, and many massive collections of art from all different eras. To examine every piece of artwork in this museum can take up to a week! This district also includes the city's most formal garden, the Jardin des Tuileries, as well as the former food and meat market, the Forum des Halles - now a popular locale for shopping and entertainment. Saint Germain (6th arrondissement) - If you are interested in browsing at boutiques and idling your afternoons away in little cafes, then Saint Germain is a great place to stay. This is the primary area housing the publishing industry in Paris as well as a major art school in its colorful Left Bank community, giving it both literary and artistic roots. With a myriad of charming smaller inns and hotels, it is also conveniently located near the popular 1st, 7th and 5th arrondissements. Le Marais (4th arrondissement) - One of the most vibrant districts on the Right Bank, Le Marais has the newest restaurants, bars and clubs filled with eclectic types as well as a thriving gay and lesbian culture. It also contains two museums worth visiting, including the Musee Picasso and the Musee Carnavalet, a museum depicting the city's rich history. Lodging ranges from boutique hotels to private apartment rentals. Those in search of exciting nightlife would find it convenient to stay in Marais. Champs-Elysees/Arc de Triomphe (8th arrondissement) - Fashionistas and lovers of designer goods might like to stay close to the 8th arrondissement, which centers on the Champs-Elysees. This famous street extends from the Arc de Triomphe, one of the great landmarks in Paris, to the Place de la Concorde, featuring the 3,300 year old Obelisk of Luxor. Many of the city's best restaurants, most luxurious hotels, most fashionable shops and most expensive houses are in this area. Latin Quarter (5th arrondissement) - Known as the old scholarly neighborhood, this Left Bank neighborhood is home to La Sorbonne Universities. Browse through the many secondhand bookshops as you wander through the old cobblestone streets. Accommodations tend to be less expensive than other parts of the city, good for the budget conscious traveler. Invalides (7th arrondissement) - What tourist can leave Paris without paying a visit to the most beloved French structure, the Eiffel Tower? The absolute Eiffel Tower lover could find plenty of hotels to stay in the 7th district. Expect the area to be very touristy and a bit far away from the center of Paris where most of the other main attractions are located. Montmarte (18th arrondissement) - Montmarte captures the romantic side of Paris. 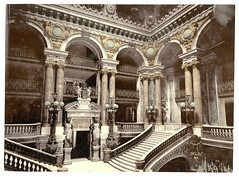 Its main site is the beautiful cathedral of the Sacre Coeur (Sacred Heart), perched on top of a hill. This district is rather far from the Parisian center but is definitely worth a trip. You can also find cheaper hotels and hostels in the area if you don't mind the walk. Stephen Daniels is an acclaimed SEO 2.0 researcher of best practices, products, and services for a wide variety of industries. He highly recommends GlamourApartments.org for quality, luxurious Paris vacation rentals in every part of the city. Moving to France will be a life-changing experience. It will be easier if you can learn as much as possible about this exciting European country before making the move. Below are some interesting things to know about moving to this beautiful, cultural country. 1. Of course, the capital of France is Paris. Paris is also the largest city in France with over 2 million people. When the population of the Paris suburbs is added, that figure rises to 12 million people. The Seine River runs through the oldest section of Paris and is divided into two sections, the Left Bank and the Right Bank. 2. Paris offers a myriad of exciting sites. The Eiffel Tower is the most famous landmark in Paris, built in 1889 by Gustave Eiffel. The French government originally planned to tear down the Eiffel Tower, as it was only built for a fair, but due to its popularity, they changed their minds. 3. France is a member of the European Union and has been one of the world's most powerful countries since the end of the 17th century. It is the most common tourist spot in the world, with nearly 82 million foreigners visiting each year. 4. Moving to France should take some time and foresight. The best thing to do is to visit beforehand so you can explore the area, check into housing and transportation and get a general feeling of the culture of the area. Because every country is unique, it's always wise to visit first to make sure you will be happy there. 5. The French people love papers. So, when you make your move to France, you will need to show them many documents. Some of these will include: birth certificate, marriage certificate, passport, international or European driver's license, insurance documents, bank references, education records, payroll slips, and more! Quite simply, any document that proves anything about you will probably be helpful or necessary during your move, so set it aside. You will also have to apply for a visa if you are not a European citizen. 6. You will need to arrange to have your belongings shipped to France. It is best to choose a moving company that specializes in international moving, rather than one that usually does national moves. International moving companies are more up to date on laws, regulations and things you need to know before moving internationally. Many local companies will advertise for international shipping, but it's not their specialty and they will not have all of the information that you need in order to make have a successful overseas move. 7. If you want to take your pet with you to France, there is good news. Unlike some other countries, France is quite compliant about allowing cats and dogs into their country. You will probably need vaccination certificates and records and a certificate of origin and health, proving that that your pet has lived in a country that is free of rabies for at least three years. 8. There are some crucial things to consider if you plan to move your car to France. First of all, be sure that the brand and model of your vehicle are sold overseas as well. It can be very difficult in France to get a foreign car approved for driving in France. Secondly, leave the existing license plates on the car. This will make it much easier to get car insurance. Last, but not least, the location of your steering wheel can make a big difference. If it is on the right, you will have trouble with the many toll booths located along the highways. 9. Each and every item going into France must go through customs and be declared. Some documents you will need include: a letter from your employer in France or a certificate stamped by the French Consulate or Embassy of original country, an inventory list of all items in both French and your own language, a document verifying that all items are for your personal use and not for selling, and receipts for all expensive items such as jewelry, electronic equipment, etc. Keep a copy of all document for your own records also. 10. Depending on where you relocating, you will find that the French climate is fairly the same, with slight variations at different locations. The Atlantic Ocean affects the weather in the north and west. In the east, the winters are fairly cold and the weather is generally fair. You can expect hot, wet summers. Winters tend to be cooler and wet in the south, along with drier and hotter summers. France continues to be the place of choice for many vacationers and those looking for a new lifestyle. France draws people because of it's high quality of life available to everyone. The French enjoy fine food, a leisurely lifestyle and the finer things in life. France remains both modern and old-fashioned, making it appealing to newcomers. There is a French phrase that describes it best: joie de vivre (joy of living). Are you ready to move to France? Don't forget to make moving and shipping plans ahead of time. We are a family-owned international shipping company in New York, certified by FMC as worldwide movers. Before moving to France, visit our website for more information! Paris is a Mecca for tourists who are drawn by many iconic landmarks like the Eiffel Tower and the Arc de Triomphe. Many travelers, however, locate lesser-known Parisian gems that give them a completely unique travel experience. From architectural feats to historical landmarks, this cosmopolitan capital remains one of the most romantic and beautiful cities in the world. Paris is overflowing with history and continues to be influential in the spheres of culture, fashion, art, design and food. It is known as the City of Light with its motto proclaiming its staying power, "She is tossed by the waves but is not sunk." For those seeking a unique experience in the incredible city, exciting opportunities are around every corner. The Centre Culturel George Pompidou, for example, is not as well-known as other Parisian tourist destinations, but hosts millions of visitors each year. Opened in 1977 to house literature, art and cinema, this groundbreaking vision of architect Le Corbusier attracts artists and visitors alike. Other attractions include La Defence, a business district stretching over 400 acres that is recognized for its stunning skyscrapers and underground circulation as well as the more than 60 modern art sculptures and monuments. The infamous Catacombs of Paris contain the bones of more than six million people, many of whom were believed to be killed during the French Revolution. Maximilien Robespierre and Jean-Paul Marat, influential figures in the Revolution, are believed to be buried there. Tourists from around the globe have visited the catacombs since 1867. Another location rich in history is the Pere Lachaise Cemetery which has become a silent oasis in the midst of the many busy Paris neighborhoods. It offers rich vegetation comparable to any of the more well known parks in Paris. One can spend hours looking for tombs of famous icons buried there including French singer Edith Piaf, Irish writer Oscar Wilde and American rock legend Jim Morrison. From the cemetery it is easy to stroll through the nearby city of Belleville. Literally translated into "beautiful town," this neighborhood is home to outdoor markets and large numbers of artists and musicians from around the world. The multicultural community creates a rich and unique environment unlike anything else in Paris. It is in this area that the least expensive city hotels will be found along with other exotic and interesting restaurants. Though the Eiffel Tower and The Louvre are must-see attractions for a first-time Paris visitor, there are hundreds of galleries, restaurants, monuments and regions to explore. Rich in history, glitz and glamour, you'll be sure to find something new every time you embark on a Paris vacation. Stephen Daniels is an acclaimed Netbiz SEO 2.0 researcher. When you vacation in Paris, he highly recommends Paris apartment rentals managed by Glamour Apartments. They offer affordable rental contracts for studio apartments, luxury suites and family dwellings in nearly every unique neighborhood of the city. Greece and Cyprus earned a reputation of cheap holiday destinations for UK holidaymakers decades ago. Booking a package holiday to Greece or Cyprus is often the smartest and most cost effective way of gaining some valuable time off in the sunshine. Greece offers inexpensive packages based on self-catering accommodation, bed and breakfast hotels, as well as value luxury accommodation in all inclusive holiday complexes or boutique style properties. Both Greek mainland and the islands are associated with long hours of sunshine, thus making for equally long summer holiday season, usually starting in May and finishing in late October. Cyprus, on the other hand welcomes year-round visitors with its hot summers and mild winters. For many, it has become a place for long-stay holidays, even a second home. Whether you are staying in your own holiday home or your accommodation is part of your holiday package inclusive of flights and airport transfers, there are usually other expenses associated with your stay in Greece or Cyprus. These can be anything from car rental to excursions, entertainment, meals and drinks or food purchased outside your holiday complex. Although these two countries have been labelled as 'expensive' after entering the Eurozone and the euro currency, current research based on consumer demands to show more transparency in the general cost of holidays shows that both Greece and Cyprus are actually ranked amongst the cheapest holiday destinations when it comes to the actual package holiday cost, as well as all associated expenses. Surprisingly enough, Greece is at the moment cheaper than Turkey, often perceived as the most economical holiday destination. Usually holidays booked outside high season tend to be cheaper as opposed to travel during the peak months of July, August or late December. Holidays to Greece and Cyprus are no exception, therefore planning your trip in less busy time can benefit with even more holiday bargains. Greece and Cyprus are also ideal last-minute destinations when the tour operators and their local business partners tend to release the flight seats and last available rooms for a quick sale at bargain prices. Current unfavourable economic climate in Greece also means that the local hoteliers, transportation companies, restaurant and tourist facility owners have slashed their prices to a minimum to draw more visitors this year. This makes Greece even more attractive on the package holiday market. When comparing the two destinations, current research shows that based on average cost of a holiday, Cyprus is slightly cheaper than Greece. The island boasts great accommodation capacities and fantastic beaches both on its southern and northern, the less commercialised coastline. Overall, both destinations provide enough attractions and beaches to satisfy every taste and budget and are traditionally a great option for all types of holidaymaker - the young and lively as well as families with children and the more mature customers. Choosing to holiday in Greece and Cyprus this year could mean enjoying a quality holiday for less money. Booking a cheap holiday is not always easy - you need to know where to begin! At packyourbags we specialise in finding the very best cheap holidays from around the world, to suit any budget. Preparing for a vacation abroad will have many components but one of the most important items a traveler should investigate is the currency exchange rate and fees that one needs to pay before being able to purchase objects or pay for food and accommodations at their destination, they should compare holiday money before they purchase foreign currency. Comparing the prices of currency should be high on the list of priorities when it comes to planning a holiday in another country. There are many websites that will help an individual compare the prices of different countries currencies however a traveler also needs to determine when to purchase the currency before they leave or when they arrive in the country in addition to what form the currency should be in, regular cash money, credit cards or prepaid currency cards. A traveler might save money by waiting to exchange their currency into that of their destination when they arrive at the vacation spot instead of at their local bank. The exchange rates are pretty much the same; however, the fees charged to exchange the money vary widely from banks to exchange companies. The percentage or amount charged might be smaller once an individual arrives at their destination and exchanges their money in another country but the exchange rate would be the same no matter where they exchange their currency. The rate is the amount set by the government or financial governing body of the country but also has to do with the current supply and demand for products and services in that country. The Federal Reserve Bank along with other countries across the world have input into the United States exchange rate. Other considerations for an exchange rate include the current state of the economy of the trading countries. A person going on holiday abroad may consider obtaining a credit card for all their purchases; however there are several fees associated with credit cards and additional fees when using a credit card in another country. The credit card company will assess an exchange rate as well as a fee for the privilege of using their card. An often unseen alternative to the credit card method of payment on vacation is to use prepaid currency cards which work similar to a debit or credit card. A traveler can purchase these at a bank or exchange company and have them loaded with their vacation cash and use it when they make purchases at their destination with out all the exorbitant fees. Traveling abroad can be fun and exciting, however it is a good idea for travelers to check the currency exchange rate for their country destination and compare holiday money options because a traveler does not want to spend all their set aside travel money on exchange fees. Once a traveler sees how economical a prepaid currency card is, they will want to pick up several of these for everyone in their traveling party. Tom Fisher writes for many sites across the internet, mainly on the topics of travel and overseas exchange. He would suggest foreign currency from FairFX to make sure you get better rates. Cheap flights are not that hard to come by. Here are some strategies that will lead to results in getting cheap airline tickets. First, if you are planning for a holiday or even a business trip then try booking as early as possible. The airline will always want to sell their tickets as fast as possible and not having to worry about unsold tickets. This is the reason tickets are offered at fraction of their regular price. Air fares are very volatile. The fares are determined by various combinations of factors. A day before or a day after your scheduled day of travel can mean a great difference in your fare. So it becomes very important to search for your cheap flights with a lot of flexibility as it relates to your travel dates. Try flying at odd hours. Most travelers don't prefer to travel at odd times of the day but if it is going to lead to hundreds and maybe thousands of dollars saved then consider the odd hour flight. If you are going on a vacation or a business trip choose round trip tickets instead of one way tickets. A round trip seat is much cheaper than two one way trips. Try choosing nearby airports to the main local airport for either departure or arrival. Smaller and less busy airports collect less tax on the airlines and thus the fares have a tendency to be less expensive compared to the major airports. Taking advantage of a situation legally is not sin. If you have a special status gives an edge over others to get big discounts why not use it. Many airlines give special consideration on the fare for students, senior citizens, defense personnel, sports person, disabled or differently labeled individuals and veterans. If you are one of them why not take advantage of it. Usually the holiday season is the most expensive time to fly. Try planning your trip for slower air travel season. By doing this you will not be charged the premium caused by the demand. Airlines would never want to take off with empty seats. They would rather sell those seats for fraction of the regular fare. So at the last minute the airline will lower their fares to attract travelers to book on these flights which have no takers. This can be an opportunity for people who are looking for cheap flights. If you are a frequent flier than try booking your tickets with the airlines frequent flier program where you can acquire points as you travel and you could even fly for free after acquiring some specified number of points. Always remember it pays to shop around. Surf the net at different travel sites and compare different prices. I know many intelligent people who just go up to the airline counter and order the available ticket. The approach of showing up at airport and buying an airline ticket on the spot is the worst and most expensive approach. Follow this tips and hints and rest assured you will acquire many savings and discounts on airline ticket purchases. Airline Ticket Deals. Cheap Flights. Never Pay More. Destination Weddings Give Couples "More Bang for Their Buck"
Money is tight in a waning economy, making a Caribbean wedding seem like a pipe dream, right? 'Not so fast' is the general consensus of destination wedding planners. While a ceremony in Jamaica may sound cost-prohibitive, consider that the very makeup of these far-away weddings can actually save the happy couple considerable sums of money. For example, there is no need to rent venues for the big day that will accommodate hundreds of guests - most of whom the couple may not know personally. Cutting down on the guest list and eliminating the need for costly venue rentals are actually the hallmarks of the destination wedding. Planners point out that it is this feature that translates into more service for far less money. Marriages, specifically those in a far off location - can be far more memorable for the couple than the normal celebration called to mind by most of us. Cookie cutter celebrations - timed perfectly to make room for the next couple's setup at the church and reception hall - require ample funds but truly do not provide as much enjoyment as the couple deserves on their special day. It actually makes sense to handpick the closest friends and family members that would make the nuptial celebration complete, invite them to an amazing location, revel in the backdrop of an azure ocean and gently swaying palm fronds as vows are exchanged, and then seamlessly switch from bride and groom to honeymooning couple. Choosing a destination (wedding planners specializing in this kind of celebration can help), creating a guest list and then evaluating the available budget all make sense for the couple ready to leave the status quo behind. Of course, there is the potential for pitfalls. Foreign locales have their own rules when it comes to entering into legal marriages. Paperwork that might be foreign to the couple must be filed with plenty of time to spare, so as to ensure that no last-minute snags hold up the marriage ceremony. In addition, making arrangements for flowers, the cake, a dinner or buffet and of course travel accommodations is all done long-distance. It is this very potential for miscommunication that makes the big day outside the country somewhat worrisome for many couples. There is no need to worry; destination wedding planners generally limit their businesses to locales in which they are well-versed in the idiosyncrasies and customs. These industry insiders very likely already have some professional contacts in place. This ensures that even for weddings in Jamaica or other locations in the Caribbean, the brides and grooms can purchase decorations as well as the other odds and ends sight-unseen without fretting. In fact, wedding planners who have been in the business for any period of time usually have a number of packages available from which clients may choose. This ensures that each couple gets a wedding experience suited to their budget and expectations - no cookie cutters allowed. Stephen Daniels is an SEO 2.0 researcher for a wide variety of industries. To plan the Caribbean wedding of your dreams, he recommends you call on the professionals at Pierre-Carr. Their knowledgeable and passionate staff works hard to make your custom wedding perfect. It doesn't matter if you're sipping a Mai Tai in Hawaii, relaxing in an Adirondack chair on grandma's porch, or driving around the country - when you go out of town on a vacation you don't want to have to worry about who's going to pick up your mail or if you locked all the doors and closed all the windows in your home. With that in mind, here are a dozen tips that will save your peace of mind while they help you to keep your loved ones as well as your possessions safe and sound while you're away from home, on your summer vacation. 1. Do not leave any notes for your delivery men. 2. Do not tell everyone you know that you're going away on vacation. 3. If you have an answering machine - turn it off. If you can't or don't want to do that, make sure that you don't leave an outgoing message that tells everyone who calls that you're away on vacation. 4. However, ask one of your neighbors to look out for your house while you're away. Have them pick up the mail and newspapers. And give them cell numbers where you can be reached if there's an emergency. 5. Leave your car parked in the driveway. 6. First check, and then double check to make sure that all your windows and doors are closed and locked. Don't forget the basement and second story windows. Make sure your doors all have dead bolts. 7. Set timers so that interior lights, the televisions, and exterior lights will go on and off periodically. 8. When you come back home check out the exterior of your home before you go inside. If it looks like there was a break in stay outside and call the police because the perpetrators could still be in your home. 9. While on vacation, whether you're driving your own car or renting one, make sure to take the car keys with you and lock all the car doors whenever you leave it. Unlocked cars, especially if left running, are an open invitation for thieves. 10. Do not leave any valuables in the trunk of your car when you go shopping, to the beach, to tourist attractions, etc. Even in a "safe" place there is a high incidence of car trunk break-ins. 11. Attach some sort of anti-theft device on your car's steering wheel when you shop or park for the evening. 12. Keep your money in a number of different places in order to minimize losing it all by mistake or because of theft. And be careful with all of your credit cards, bank cards, and gas cards. Follow these twelve simple tips and you will have a fun-filled, stress free summer vacation that you'll cherish and talk about for years. Liguria is a region that can be visited all the year round, because every season is perfect for visiting the several villages and sea resorts located along the coast. In particular, the Cinque Terre (Five Lands) are five wonderful little villages placed near the city of La Spezia, in the Eastern part of Liguria. The Cinque Terre are renowned all over the world for their unique beauty, breathtaking landscape and uncontaminated deep blue sea. In fact, since 1997, the Cinque Terre have been included in the UNESCO World Heritage list. On the page dedicated to Cinque Terre (www.aboutliguria.com/cinque-terre.html), visitors will find many useful information about each village: Monterosso al Mare, Vernazza, Corniglia, Manarola and Riomaggiore, and also many beautiful photos. Their multicolored houses surrounded by enchanting rolling hills and placed in front of a deep blue sea will steal tourists’ hearts. In addition, in the bottom of each page, visitors will find a useful and practical free Booking Service, in order to give them the chance to easily and quickly find their ideal accommodation in Cinque Terre - www.aboutliguria.com/cinque-terre.html - and book their holidays in Liguria. With the Booking Service, accommodation in Cinque Terre will be easy to find: visitors will have the opportunity to insert their favorite destination and the kind of accommodation that best meets their needs. Further information about Cinque Terre in Liguria (www.aboutliguria.com/cinque-terre.html) are available on www.aboutliguria.com, the new travel guide to Liguria. Web Marketing Team is a company specialized in the online web marketing sector. We employ the network as an instrument of communication and work, and use the marketing as a medium to streamline the outcomes of our effort. It comprises a series of actions, all addressed to a web site's ROI (return on investment) increase. The purpose of our work is to produce and to address high quality web traffic toward our customers' sites so to reach real and clear outcomes. It is for this reason that we focus on search engines: our aim is to make your site ever-present and visible in them. On my recent trip to Italy, my bus driver was from Cefalu in Sicily. I spent alot of time talking to him about how this delightful town exceeded my expectations. The magnificent twin-towers and the Norman Cathedral were built in 1131 by Roger II following his shipwreck along the coastline of Cefalu. The structural and architectural trappings of the cathedral are similar to Monreale. It is adorned with lancet windows. The 20th century stained glass replacement windows are covered with abstract designs created by Michelle Canzoneri. The Duomo has spectacular mosaics and houses a magnificent Christ as Pantocrator. In the square, enjoy some delightful marzapan treats with your coffee. Do you find yourself wondering what Italian homes are like? Interestingly enough, there is no real answer. Because Italy has such a long and rich history, the styles of Italian homes vary widely. Not just because of the long history, the many different regions of Italy all have their own unique architecture and style as well. Houses in Piedmont will not look anything like houses in Tuscany, which will look nothing like houses in Sicily. What makes this so fascinating is going through and seeing all the different European influences that have affected the architectural styles of different regions. Because the styles vary so much, if you're looking at purchasing a home in Italy for yourself; it really pays to do your research. If you absolutely love Tuscan decorating and design, then houses in Campania are probably going to disappoint you. The good news is that this research is incredibly fun. Basically, you just have to look at houses in all the different regions of Italy, and decide which ones you like best. If anyone gives you a hard time for looking at so many pictures, just tell them you're doing research! Another aspect of Italian homes is deciding on what kind of contemporary style you want. As you get further away from the cities and into the more rural areas, the houses will be much older and traditional. In the major cities, the homes will be updated with a much more contemporary and modern feel, though still with a slight Italian flair. Because of this difference, it might pay to pick a location first and then just budget for renovations. After all, you can always change the interior style of the house; but it's very difficult to move it. If you are looking for more information on moving to Italy, why not try my free guide which you can download right here. 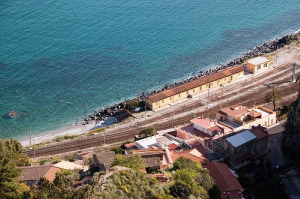 How to Get from Italy to Sicily (and Vice Versa): "
Because this is an overall article about coming from Italy – anywhere in Italy – I’ve had to generalize more than I usually do on these articles. You could, after all, be just about anyhwere on the mainland. 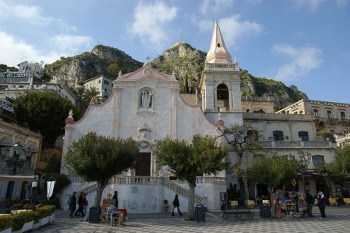 I’ve done my best to outline your options for getting from the mainland of Italy to Sicily in this article, and if I’ve missed something or left something out please let me know… But if it’s just information about your specific route you’re looking for, I’m hoping I’ve given you the tools in this article so that you’ll be able to find the information you need on your own. Depending on where you’re starting from in Italy, your best bet in terms of both time and money might be to fly to Sicily. There are a few airports on the island, although there are three in particular you’ll want to look at for flights from both the Italian mainland and elsewhere in Europe. The airports to check are in Catania, Palermo, and Trapani – and your airline options will vary for each arrival airport (not to mention the airport you’re closest to on the mainland). 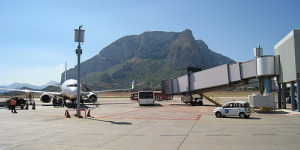 >> Read more about budget airlines that fly to Sicily, especially if you’re outside Italy to begin with. As you read above, there is not currently a bridge that stretches over the water from the mainland of Italy to the island of Sicily. What that means is that any form of transportation listed here other than flying will involve going on a ferry boat at some point. 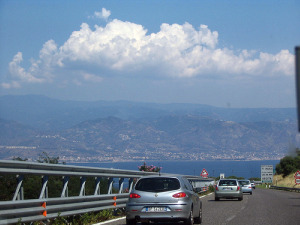 Luckily, the ferries that connect Italy and Sicily are the kind that take entire trains (not to mention cars and buses) on board, making your trip easier to deal with. There are several different ports on the Italian mainland from which you can sail to Sicily, and obviously you’ll pick the departure point that’s closest to you. 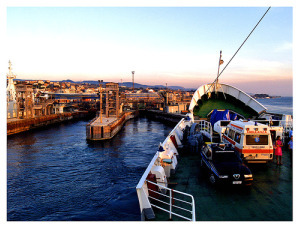 But keep in mind that not all of the ferry departures can accommodate cars or trains, so if you have a particular mode of transport in mind then you’ll want to make sure that will be available at the departure city you’re targeting. Another thing to factor in is how many sailings per week there are from various points. Some have 3-7 per week, some have more, some only have 1. All of this is to say that your ferry crossing is something you’ll want to research in advance so you don’t end up spending an extra week somewhere you don’t want to be. 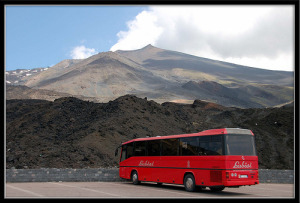 There are some long-distance buses in Italy that you can take from various points on the mainland to a couple of the major cities on the island of Sicily. SAIS Trasporti buses are the ones that will get you from your last stop on the Italian mainland to Sicily, but you’ve got to get to one of their departure points first. If you’re on the SAIS website (in Italian) you can technically book a trip all the way from Milan to Catania, but what you’re booking in that case is a train trip to Rome and then a bus trip from Rome to Sicily. So here is the information for the SAIS bus trips leaving from Rome and Naples heading for Palermo and Catania.